Step 1: Place the chocolate drops into a heatproof bowl. Fill the saucepan with water and place the bowl on top. Warm the water gradually and stir the melting chocolate. Step 2: Lightly grease the egg mould and spoon the melted chocolate evenly around it. Place the mould in the fridge. Step 3: Once the two halves have set, fill one side with some of your dog's favourite treats. 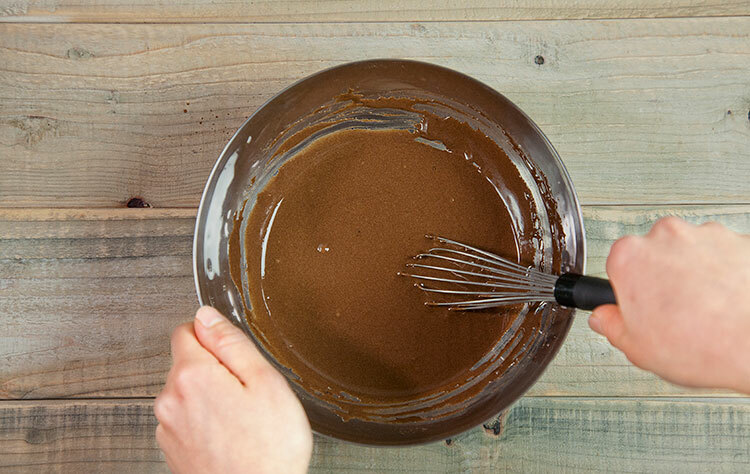 Step 4: Spread melted chocolate around the edge of one half of the egg and stick the second half in place. Step 5: Once cool, trim away any rough edges and wrap the egg in cellophane and tie with a ribbon. You could also make an extra egg for a friend's dog too. REMEMBER! Dog-safe chocolate is a treat and should only be fed to your dog in small amounts at a time.